The Pennsylvania Attorney General’s Office has been asked to assert jurisdiction and review a bar brawl between off-duty Philadelphia police officers and former Philadelphia Eagles running back LeSean McCoy. 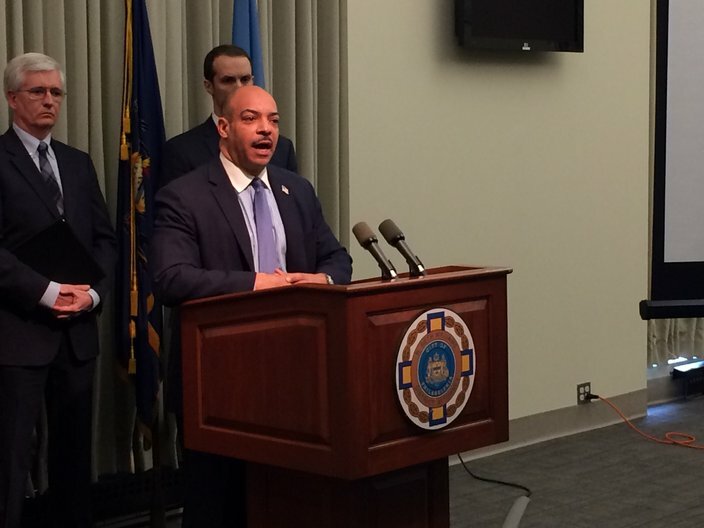 John McNesby, president of the Philadelphia Fraternal Order of Police Lodge #5, wrote a letter to Attorney General Kathleen Kane ripping the decision of District Attorney Seth Williams to forgo charges in the incident that resulted in serious injuries to two officers, and seeking her intervention. McNesby did not immediately respond to a request for comment. Williams on Monday announced he wouldn't file charges against any of the parties in the Feb. 7 fight at the Recess Lounge in Old City. He said 44 interviews with 27 people who were at the nightclub that night couldn't produce enough evidence to charge either the off-duty officers nor McCoy and his friends with a crime. According to the Philadelphia Inquirer, the letter said Williams’ decision was "an outrageous cover-up and dereliction of duty by a public official." It also said that Williams failed to bring charges "because McCoy is a prominent professional athlete." McCoy, who was drafted by and played six years with the Philadelphia Eagles, now plays for the Buffalo Bills. Chuck Ardo, a spokesman for Kane, confirmed the letter on Saturday and said the request is under review. There is no timeframe for a decision on the matter, Ardo said. Ardo said there is a provision under Pennsylvania law which might allow the Attorney General’s office to take jurisdiction, but that remains under review, he said.